Tall height ideal for users 6'0" and above. Finally a walker that corresponds with my height. Gives new life to persons with balance problems. 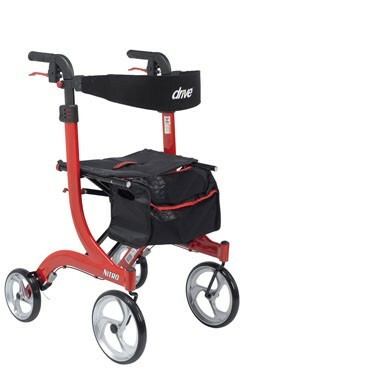 This rollator is an excellent product! In fact, it's the absolute best. My husband is able to walk with so much more confidence because of the stability and manuverabilty it gives. Pros:Stability, manuverability, easy to pick up and store. Needed a tall rollator so spouse would not have to stoop when walking; also need the seat for sitting when tires from walking. Pros:Sturdy; adjustable handlebars; already assembled when received.